Not only can you bowl with this ball on the lanes to represent your favorite team, but you can display it at your office or home too! This NFL New Orleans Saints ball is designed for any lane condition, and would make a great addition to any bowlers arsenal! Thanks for the question Big Mack! 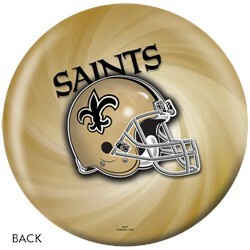 The KR New Orleans Saints NFL ball is a plastic/spare ball that will go straight down the lane. Hello. Yes, you can select the weight by clicking on the "select weight" tab. Are the finger holes drilled ? It will come undrilled unless you wish for bowling.com to drill it for you. 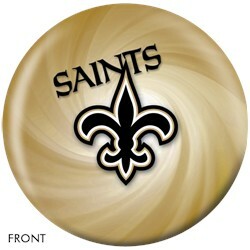 Due to the time it takes to produce the KR Strikeforce New Orleans Saints NFL Ball ball it will ship in immediately. We cannot ship this ball outside the United States.